Donkey Kong Country 2: Diddy’s Kong Quest (AKA スーパードンキーコング２　ディクシー＆ディディー, Super Donkey Kong 2: Dixie & Diddy in Japan) is a 2D side-scrolling adventure platform video game developed by Rare and published by Nintendo for the Super Nintendo Entertainment System (SNES) almost worldwide in 1995. It is the second installment of the Donkey Kong Country series and the predecessor to Donkey Kong Country 3: Dixie Kong’s Double Trouble! The original Donkey Kong Country was a smash hit and it’s only fitting that it be given worthy successors. Donkey Kong Country 2: Diddy’s Kong Quest might be a mouthful but it was every bit like its predecessor. It was fun, fast, and gorgeous. 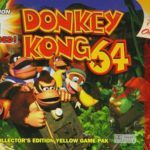 In this episode, DK has been kidnapped so Diddy has to team up with Dixie Kong to save him. Like the previous DK games, Donkey Kong Country 2: Diddy’s Kong Quest will make you do the same actions – jump over gaps, bounce off enemies, swim underwater, and find secret items and a lot more in this iteration. You will also be climbing up masts in some levels like in Donkey Kong Land but the 16-bit environment of the Super Nintendo Entertainment System make the scenes visually more impressive. This game can be a bit tricky in some levels but the learning curve has been well-planned. Controls are excellent as with any game in the Donkey Kong franchise. You can save your progress via the Kong College, but you need to beat a few levels and have some coins ready. DKC was a visual feat when it was released, and Donkey Kong Country 2: Diddy’s Kong Quest follows suit. Pre-rendered images, details aplenty, fog and rain effects are used to maximize the graphic capabilities of the SNES console. A great game is nothing without accompanying music and sound effects that are equally appealing, and this game has no shortage of those. Splashes of water, howling winds, noises ranging from creature noises, crashes, and bumps are very well digitized and clear. 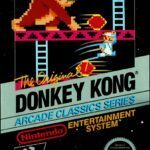 If you liked the first installment of the DKC series, you will have no difficulty accepting Donkey Kong Country 2 as well. It’s a very enjoyable game with good graphics and sounds. Finding the secret items in Diddy’s Kong Quest will keep you busy. Donkey Kong Country 2: Diddy’s Kong Quest has been ported to SNES (this version), Game Boy Advance and Wii Virtual Console.